Monkfish Book Publishing, 9781939681713, 224pp. How do we enter our elder years with openness, curiosity, and engagement? A central assumption of this book is that deepening one's inner life is central to wellbeing in later life. 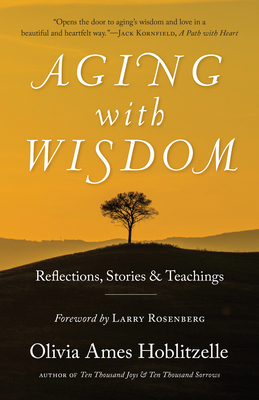 Combining elements of memoir and inspiring examples of lives well lived, Aging with Wisdom is that invaluable guide to the inevitable (if we're lucky) process of aging with dignity and grace. Olivia Ames Hoblitzelle is a writer and dharma teacher. Her bestselling first book, Ten Thousand Joys & Ten Thousand Sorrows: A Couple's Journey Through Alzheimer's won many awards.